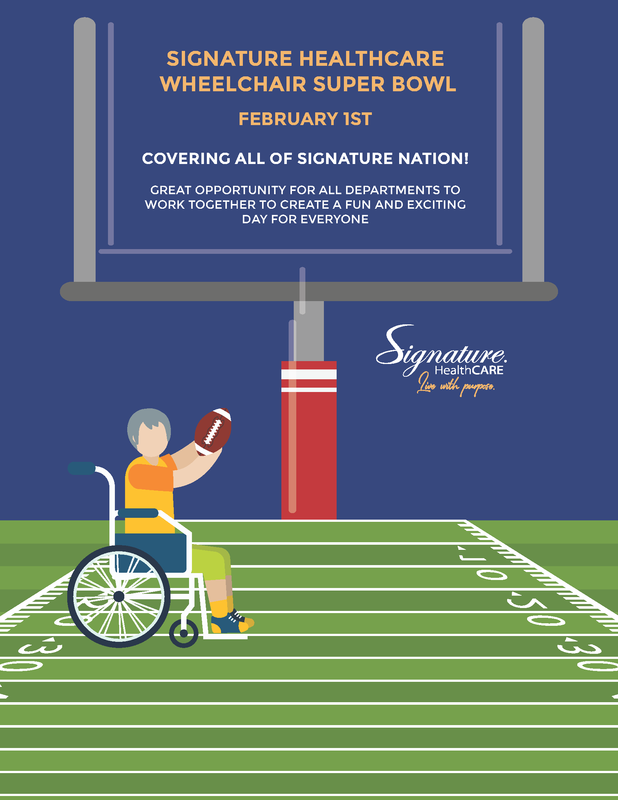 DO NOT miss a good Friday, Signature Wheelchair Super Bowl! 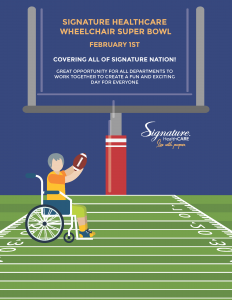 Starts at 2:00p, come on over and cheer on either the Blue Lions or Panthers! Hot dogs, chips, drinks and more will be available.